Softened and consolidated, the Elise is showing its age. Usually that means outdated design and lackluster performance, but these don’t apply with the Elise. Fifteen years have slipped away since it was first introduced in Europe, and the overall design remains fresh even today with only minimal modifications. Performance, too, remains competitive, allowing the Elise to run with the supercars of today, if only in the twisty bits. 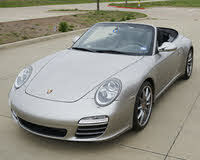 But 15 years is ancient in the automotive industry, and you can’t outrun time. With Lotus hoping to expand its reach into more profitable markets, its model lineup has expanded and now contains a 2+2 model – the Evora. Such changes from a parent company are often the death knell for a purposeful sports car, betraying the singularity of vision that makes a truly successful offering. What’s worse is when those compromises do more than simply occupy another stall in the stable, but when they start influencing the rest of the livestock. Shed a tear and witness what the Elise has become and where it is headed. Prior to an impending redesign, the 2011 Elise has been massaged with a slight facelift, and the influence is obvious. Mimicking the front end of the Evora, the Elise has a new front fascia that blends the three intakes and openings into one and eliminates the violent strakes and louvers that previously defined the Elise's front end. There are two new splitters at the bottom corners of the front fascia that not-so-subtly copy the styling of the Evora, and the quad-headlamp design has been dumped in favor of single units on each side with LED running lights and signals. The same pandering has happened in the back, with a bigger bumper and diffuser as well as a redesigned taillight panel, which now spans the width of the rear. Just as the Evora was designed to appeal to a wider audience – people who might think about carrying a bit of luggage in their car, for instance – the Elise has been softened and smoothed to avoid the extremities of design that offend some. Or maybe not. These changes, although small, seem to add up. Lotus claims the drag coefficient for the Elise has dropped by 4 percent. That doesn’t sound softer. That sounds better. There is a new, smaller engine being utilized for a new base Elise trim – a 1.6-liter 4-cylinder. That’s a drop from the 1.8-liter 4 previously used as the base lump, but the 1.8 continues in naturally aspirated and supercharged form in the Elise R and SC. The 1.6 gets 134 hp as well as Valvematic and Dual VVT-i technology, but it’s Euro-spec only, so here in the States we’ll still be dealing with the old 1.8. Still, changes have been made here, too. Power in the North American 1.8 has been bumped from 189 to 194 horses, while the supercharged version stays at 218. More importantly, all three engines are now mated to a new, close-ratio 6-speed manual. Once again, I’m not a mathematician, but faster doesn’t usually equal softer, and a 6-speed manual gearbox sounds like a hell of an upgrade. Plus, there are new wheels to be had as well, and they weigh just 65 pounds in total. Not soft and not bad. Inside there are more changes to be found, and these certainly mean soft. Cruise control is now an option, and one that will certainly make purists retch, and the stereo has been upgraded as well with new Alpine head units for the 180-watt stereo. Click the Touring or Premier Pack options, and you’ll get HD/satellite radio with an iPod adaptor, too. It's hard to condemn Lotus for making its sprightly little sports car even faster and sleeker and adding a gear. Hard to condemn them for wanting to make a buck, too. If this is aging, pass the Metamucil. What's your take on the 2011 Lotus Elise? 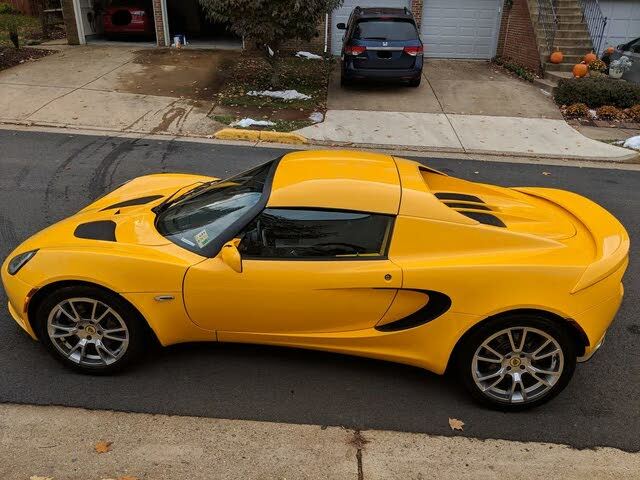 Have you driven a 2011 Lotus Elise?